HP updates their lineup of modern workstations that includes the world's slimmest business and mobile workstation devices and improved security features. HP launched a myriad of new devices, displays and accessories designed to assist in improving productivity in the modern workforce. The newest devices include the HP EliteBook 800 series, HPZbook 14u and 15u mobile workstations, and the new HPThundernolt Dock G2. There are also four new HP 4K displays. The game has changed and standard issued corporate devices of the past no longer meet the needs of the workforce of the future, particularly among Gen X to Gen Z professionals. Our latest EliteBook and ZBook offerings set new standards for design, performance, and functionality. 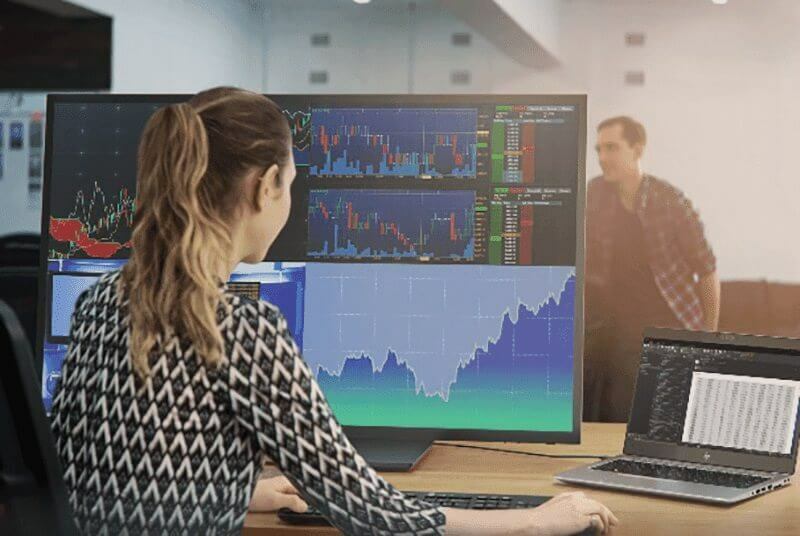 Whether it’s the world’s thinnest devices or the industry’s most robust security features, HP is redefining the commercial PC experience for the modern workforce. Modern day workforce has a different way of handling their work load. 62% of the people work from more than one location and 81% work during their personal time. This means flexible workstations is certainly on the rise in terms of demand. In addition to that, since the work environment is now shifting from traditional offices to a work-from-anywhere model, security features must also adapt to this change. HP's premium design language has always been impressive but was previously only available on their high-end EliteBook 1000 series. Now, it is also going to showcased on more of their devices such as the Elitebook 800 and the ZBook 14u or 15u. This design has a chiseled wedge profiles with anodized aluminum covers that provides a sleek and strong build. 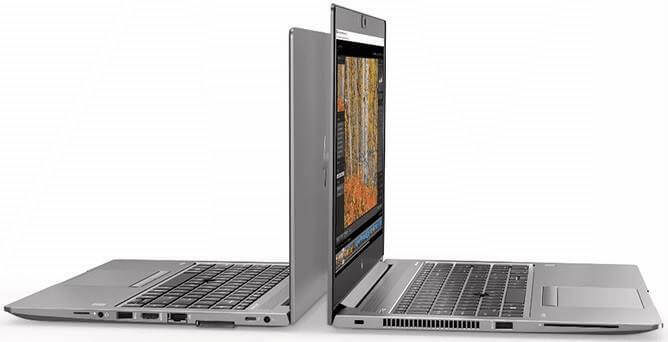 Both of these EliteBook amd ZBook models also has an ultra-bright display that adjust automatically according to changing light conditions. The EliteBook 800 along with ZBook 14u and 15u series also has workplace collaboration in mind during their designing phase. They are sporting noise cancelling microphones which removes unwanted sounds when in individual mode or enhances 360 degree voice pick up when in conference mode. They also have the HP Premium Collaboration Keyboard with dedicated keys for managing calls. They also have the HP Phone Wise feature that allows the user to answer texts and call from your PC across your iPhone of Android smartphone. HP EliteBook 830 G5 - This will replace the EliteBook 820 G4 and it has a 13-inch display in a 12-inch notebook body. HP EliteBook 840 G5 - One of the world's thinnest 14-inch business notebook that has an 8th Gen Intel Core processors and an AMD RX540 discrete graphics card for graphic intensive workloads. The HP ZBook 14u and 15u mobile workstations now feature the popular HP Sure View for greater user and data privacy for technical mobile professionals. They are also the first workstations with an integrated privacy screen. They will both have 8th Gen Intel Core Quad Core processors with vPro tech and AMD Radeon Pro graphics card. For people who love a clean and organized work area, HP is also providing you with a minimalist dock. The new HP Thunderbolt Dock G2 is a compact dock. It has a sleek and functional design with both Thunderbolt and USB-C functionality. It can provide power to up to two 4K displays and it is the first Thunderbolt dock to support an audio conferencing module. 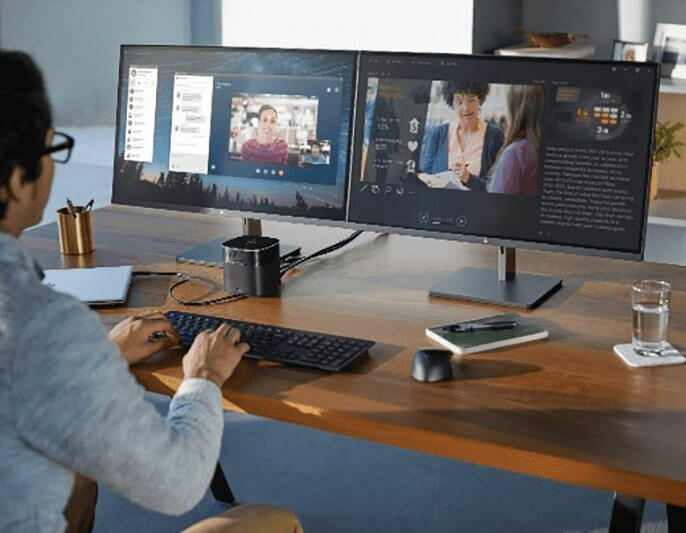 HP EliteDisplay S270 - HP's first EliteDisplay that can pull video and data and send up to 60W of power to the PC with just a single USB-C cable connection. HP Z27 and Z32 - 4K displays designed for professionals who rely on constant color calibration. These are factory color calibrated to meet unique workloads. HP Z43 - This is HP's largest 4K display. This is designed for people who need all the space they can get. This will provide users with the most screen real estate as possible. HP Sure Start Gen 4 - This will protect the BIOS and its copy running in the system memory. Gen 4 improves on the previous Gen with enhanced encryption and event logging for third-party software. HP Sure Run - This extends hardware hardware-enforced self healing protection for the OS. This is done through monitoring key processes and applications and alerts the user and IT personnel if there are suspicious changes made. HP Sure Recover - This offers secure, automated, network based image recovery using internet connection. Employees will be able to re-image a PC with a copy of HP's or the company's software even if the hardware has been completely wiped.